I really enjoy 19th century and early 20th century artistic depictions of the American West. This naturally spills over to a particular fascination with works that portray Mount Shasta. My interest was heightened after doing research on an old painting of Mount Shasta that I acquired from my mother (read about that journey here and here). 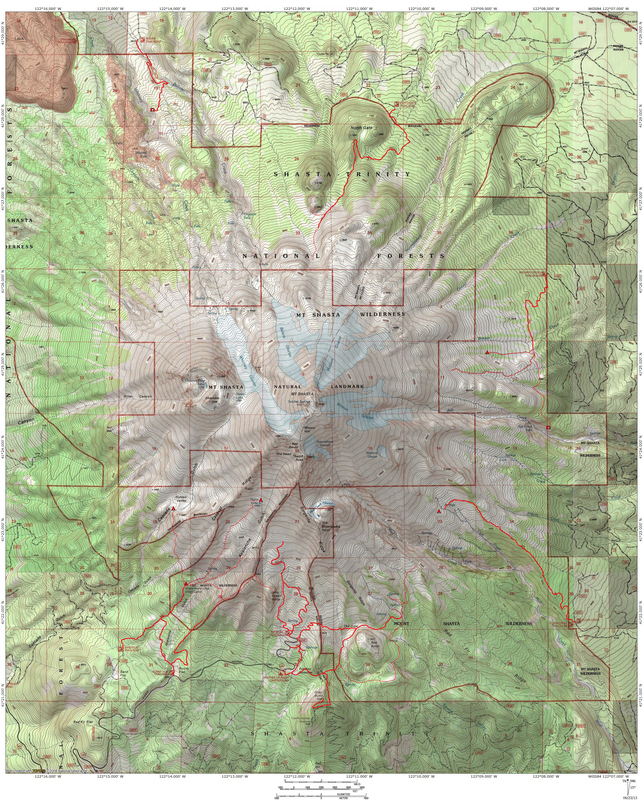 The best place to go for a collection of paintings, sketches and engravings of the Mount Shasta area is the fantastic book Sudden and Solitary by William Miesse. I have enjoyed this book for the last few years, after being inspired to purchase it when visiting the Turtle Bay museum’s exhibit on the art of Mount Shasta a few years ago. The display has since been closed but most of the works present at the exhibit are included in the book. While there are many beautiful and historically interesting works depicting Mount Shasta, one of my absolute favorites is an engraving by Thomas Moran. He, along with Albert Bierstadt, is the preeminent 19th century painter of western landscapes. Moran and Bierstadt’s works were integral in inspiring public appreciation of the great beauty of the lands to the west and moved the public to support the preservation of these incredible places. Their paintings hang in many prestigious museums and are even located in the White House. Both artists have major peaks named after them as well. Mount Bierstadt in Colorado is one of that state’s elite 14ers. Mount Moran in Grand Teton National Park in Wyoming is among the most dramatic peaks in the storied range, second only to the Grand Teton itself. While both painters are well known as oil painters, Moran also worked with engravings. Specifically, the engravings were created as magazine illustrations. Moran would often make engravings of places he had not been based on sketches other people created. This is in stark contrast to his paintings, for which Moran personally joined expeditions into remote areas in order to document the landscape. In interpreting the sketches of other people, it is natural for things to become exaggerated or emphasis placed on the wrong feature on a mountain. This is the same practice that caused my painting of Mount Shasta to be almost unrecognizable. 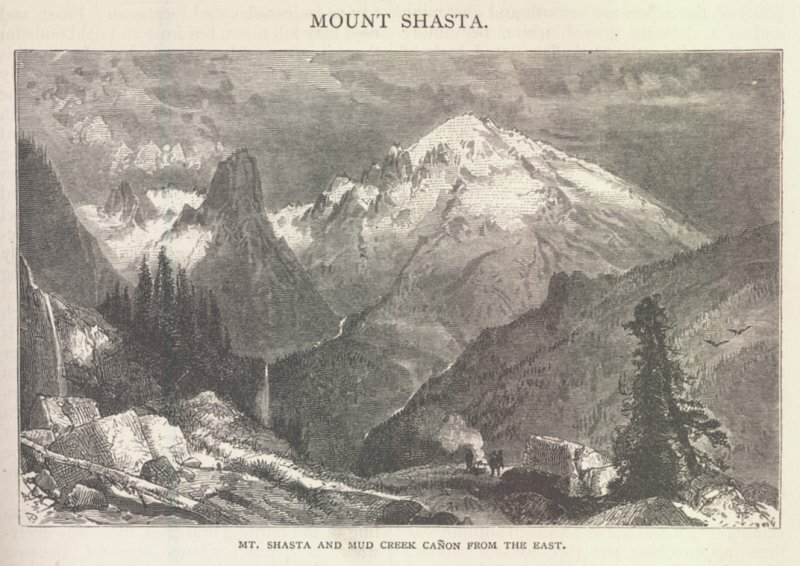 Most early depictions of Mount Shasta portray the mountain from down below as the artist gazed up at its icy heights. An early work made on the mountain is certainly unusual (another similarity with my painting, which is also made from on Mount Shasta). Nonetheless, it is an epic and inspiring view. 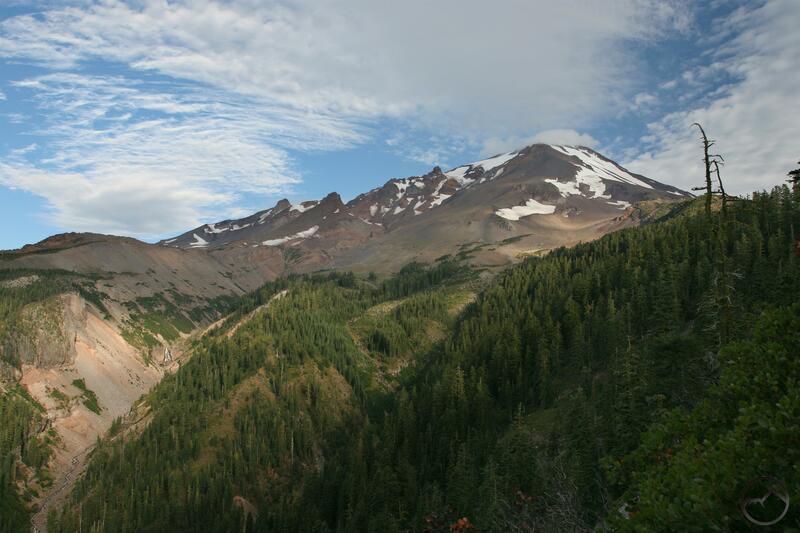 I hope that more folks will head up onto the Clear Creek Trail and climb up to the spectacular vista of Mount Shasta. This view of the great volcano is not famous or iconic but it is so grand, so magnificent, so packed with rugged grandeur, that it certainly deserves to be one of the iconic images of the American West. Wow, what a good eye to be able to match all the landmarks from the engraving to an actual photo. Indeed, the proportions are not right, and to the unpracticed eye that makes the two scenes totally different! After I was done being struck that you recognized it, then I was impressed that all those wonderful details were maintained despite arriving second-hand to the artist. It is impressive how accurate it is despite the proportion being off. That said, I assumed that the sketch was taken from the east side of Mud Creek Canyon but now I think the original artist was on the west side as portrayed in the engraving. I like the perspective and I hope that such a place still exists but I have a feeling that the trees have grown enough that the view is obscured now. The same happened on the east side of the canyon. Famed geologist Joseph Diller took a great shot of the same scene in the 1880’s but I have concluded that the spot he shot from has become overgrown. It will be worth exploring the lower rim of the west side to see if the view is still there!